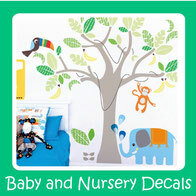 Leafy Dreams Nursery Wall Decals - Leafy Dreams Nursery Decals, Removable Kids Wall Decals-Stickers SALE NOW ON! 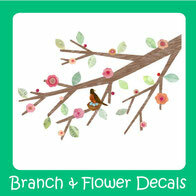 Create a beautiful and inspiring room with our unique wall decals (also known as wall stickers). 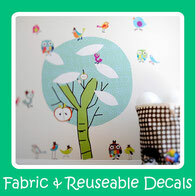 Wall decals (wall stickers) are a quick, cost-effective way to create a fun, attractive and colourful room that your child loves to play and relax in. 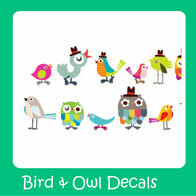 The addition of funky wall decals to a room can transform a standard room to an incredible one. 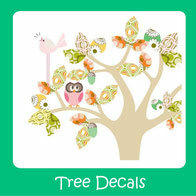 We love naturally-inspired designs with animals and trees bringing the outside in. 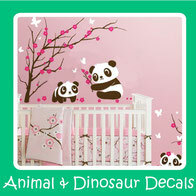 Browse our unique collection of wall decals-wall stickers to inspire you to create an amazing room for your little one. 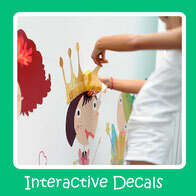 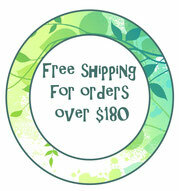 We offer top quality wall decals-wall stickers that are simple and easy to remove and come with clear instructions. 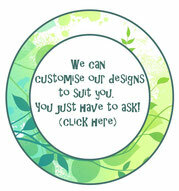 Browse our many categories and get inspired now!